“The Volatile State of Greek Politics,” Foreign Affairs Snapshot, September 27 2017. (Translated and published in Foreign Affairs, The Hellenic Edition). “Between Trump and the Troika: Greece After the U.S. Election,” Foreign Affairs Snapshot, November 16, 2016 (with Akis Georgakellos). (Translated and published in Foreign Affairs, The Hellenic Edition). “Greece just called new elections. Here’s the background you need to understand them,” The Washington Post blog, The Monkey Cage, August 20, 2015 (with Akis Georgakellos). “The Agreekment That Could Break Europe: Euroskeptics, Eurocritics, and Life After the Bailout,” Foreign Affairs Snapshot, July 14, 2015. (Translated and published in the Japanese and Greek editions of Foreign Affairs). “Tsipras’ Greek balancing act begins” The Washington Post blog, The Monkey Cage, February 3, 2015 (with Akis Georgakellos). “Greece goes to the polls and Europe holds its breath,” The Washington Post blog, The Monkey Cage, January 24, 2015 (with Akis Georgakellos). “Why everything is at stake and yet nothing will be decided in today’s Greek presidential election,” The Washington Post blog, The Monkey Cage, December 17, 2014 (with Akis Georgakellos). “The Political Limits of Grecovery” The Washington Post blog, The Monkey Cage, July 31, 2014 (with Akis Georgakellos). “Sand Dunes in the Greek Landscape: Party Politics and Political Coalitions in Times of Crisis,” The Monkey Cage, June 11 2013 (with Akis Georgakellos). “Greek Elections and its Aftermath“, The Utopian, May 9, 2012 (with Akis Georgakellos). “2012 Greek Parliamentary Elections: Post-Election Report”, The Monkey Cage, May 7, 2012. “Pre-Election Report: 2012 Parliamentary Election”, The Monkey Cage, May 5, 2012. “Regional multilateralism: The next paradigm in global affairs“, CNN.com, January 14, 2011 (with Emirhan Yorulmazlar). “What really went wrong in Greece?“, CNN.com, November 20, 2011 (with Evan Liaras). “Greece’s Legitimacy Crisis“, CNN.com, November 3 2011 (with Thomas Meaney). “Are Greece’s Leaders Reckless or Bold?“, CNN.com, November 2 2011 (with Thomas Meaney). “The end of peaceful protest?”, Kathimerini (English edition, Greece), July 5 2011. “Analysis of Greece’s cabinet reshuffle”, CNN.com, June 17 2011. “The Empire Strikes Back?“, Kathimerini, April 13 2011 (with Wilder Bullard). “From possibility to austerity”, Hürriyet Daily News and Economic Review, April 1 2011 (with Stephen Kaplan). “This is no 1989 moment for the Arab world”, Guardian.co.uk, February 8 2011 (with Wilder Bullard). “A Declaration of Dependence?”, Hürriyet Daily News and Economic Review (Turkey), December 22 2010 (with Eric Grynaviski). Also appeared on various blogs including the The Utopian, Nationalities Blog, The Monkey Cage, and TransConflict (also available in Serbian). “Stopping ethnic cleansing in Kyrgyzstan,” Hürriyet Daily News and Economic Review (Turkey), June 23 2010. A version of this article has appeared on The Monkey Cage and the Nationalities Blog (with Scott Radnitz). “A Fist Full of Euros,” The Utopian, March 29 2010 (with Thomas Meaney). “Does the eurozone need its own monetary fund?” The National Newspaper (Abu Dhabi), April 4 2010 (with James Raymond Vreeland). Reprinted in Hürriyet Daily News and Economic Review (Turkey). “Greece’s crisis, Germany’s gain,” Los Angeles Times, March 15 2010 (with Thomas Meaney). Reprinted in The Sacramento Bee, The Plain Dealer, The Bradenton Herald, Winnipeg Free Press (Canada), The National (Pakistan), Hürriyet (Turkey) and in Eleftherotypia (Greece). “The Name Game,” Foreign Policy, July 23 2009 (with Thomas Meaney). Reprinted in Hürriyet (Turkey) and Newsweek Japan (in Japanese). “The Pandora’s box of sovereignty,” Los Angeles Times, August 13th 2008 (with Thomas Meaney).Reprinted in Baltimore Sun and in Hürriyet (Turkey). 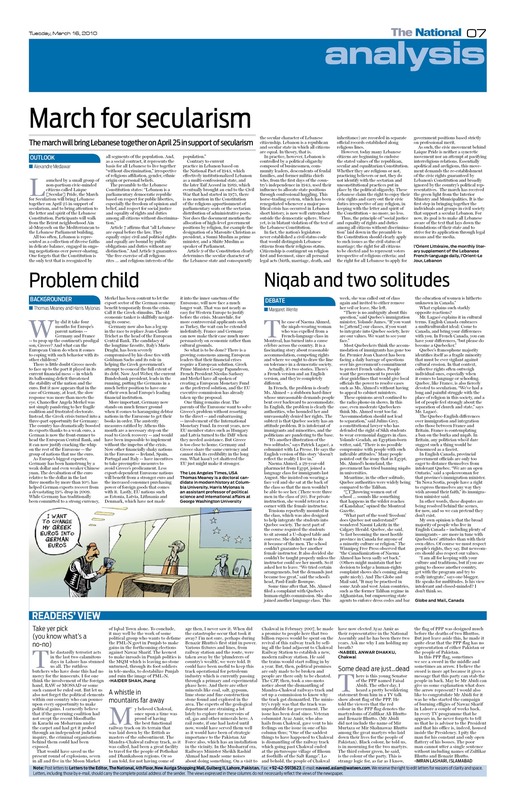 “Georgia a policy debacle for US,” The Age (Australia), August 13th 2008 (with Thomas Meaney). Reprinted in Brisbane Times (Australia). “The valuation process in the history of art,” Kathimerini, July 23 2017 (with Theo Michael). “Never alone…Find the way,” Kathimerini, January 27 2016. “One year with Alexis Tsipras in Power,” Efimerida ton Syntakton, January 26 2016. “Migration: Blessing or Curse?,” Kathimerini, February 20 2011 (with Stathis Kalyvas). “An Iniquitous System,” Kathimerini, July 2 2010. “Co-ethnics, immigrants, and the electoral law,” Kathimerini, January 21 2010 (with Elpida Vogli). Commented on US policy in Afghanistan, Los Angeles Times, August 22, 2017. Interview with Voice of America on the Greek Referendum, July 6, 2015. Interview with The Daily Report on AM950 Radio in Minneapolis, February 6, 2015. Interview with Voice of America, “Greek Financial Crisis Tests EU Stability“, February 4, 2015. Commented on the political developments in Greece, Wall Street Journal, December 23, 2014. Interview with Greece in America Newletter, March 2014. Commented on the rise of the Golden Dawn in Greece for Ozy, November 14, 2013. “Korea ‘lucky’ to have strong, large diaspora to draw upon,” JoongAng Daily, August 14, 2013. Commented on the connections between Ancient Myths and the Greek crisis for the Associated Press. Also published on huffingtonpost.com, kathimerini.com, June 24, 2012. Commented on the situation in Greece for the Associated Press. The article was reprinted in the Guardian, FoxNews.com, The Economic Times (India), among others, June 20, 2012. Commented on the Greek election on Nightly Business Report, June 12, 2012. Interview: “Eurozone Reforms Still Captive to Local Politics,” Context Q&A, Woodrow Wilson International Center for Scholars, May 24, 2012. Commented on the polls in Greece, Wall Street Journal, May 28, 2012. Commented on the situation in Greece on Nightly Business Report, May 14, 2012. Commented on coalition talks in Greece, Wall Street Journal, May 8, 2012. Commented on the rise of fringe parties in Greece and the May 6 election, Wall Street Journal, May 4, 2012. Commented on the controversial and deeply unpopular austerity bill that Greek lawmakers passed to secure a second bailout on tbs eFM’s “This Morning” radio show, South Korea, February 13, 2012. Commented on the Greek Prime Minister’s surprising calling of referendum on the Eurozone rescue plan on tbs eFM’s “This Morning” radio show, South Korea, November 6, 2011. “Greeks in America React to Greek Financial Crisis,” Voice of America, May 10 2010. “What_s in a name? Quite a lot actually_Fall 2009,” The Balkans-An International Affairs Forum Special Report, published by the Center for International Relations, Fall 2009, pp. 58-60. Commented on global developments on TV 100, February 20, 2017. Interviewed by Kostas Raptis on Michael Flynn’s resignation for Athina 9,84 radio, February 14, 2017. I was invited to comment on Trump’s inauguration at Star Channel, January 27 2017. Interviewed by Alexandra Voudouri on Trump’s inauguration for Athina 9,84 radio January 20, 2017. I was invited to comment on the Cyprus issue at Star Channel, January 9, 2017. I was invited to comment on Obama’s visit to Greece at Star Channel, November 17, 2016. Vima FM, and SKAI TV (November 9 2016). Interviewed by Kostas Raptis on the outcome of the US elections for Athina 9,84 radio November 8, 2016. I was invited to comment on the proliferation of political parties in Greece since 2009 on Star Channel, May 12, 2016. Invited to speak about Doctoral studies on Greek Public TV (ERT) on April 6, 2016. Interviewed by Maria Anagnostidou at TV 100 on the Greek edition of my book April 4, 2016. I was invited to comment on the recent refugee crisis in Europe and the terrorist attacks in Brussels at Mega Channel on March 27, 2016 (part I and II); and at Star Channel on April 1, 2016; March 24, 2016; March 16, 2016. Interviewed by Thimis Tsiliopoulos on Athens 9,84 radio on the Greek edition of my book, March 23, 2016. Interviewed by Thimis Tsiliopoulos on the Greek crisis for Athens 9,84 Radio, February 5, 2015. Commented on Greek diaspora vote for Kathimerini, January 28, 2015. “NATO Summit (Chicago, May 20-21, 2012)”, interview, TV 100, May 18 and May 22 2012. Interviewed by Maria Psara, Ethnos, February 23 2012. “EU and the Western Balkans”, interview TV100, December 21 2011. “Greek Migration Policy”, interview Skai radio, August 1 2011. “State-Minority relations [in the Balkans] will improve with the accession of these states in the EU and NATO” Voice of America, October 28 2010. “Greek Universities did not make it in the list”, Skai TV, November 10, 2010. “거대한 해외 교민사회 존재는 한국에 큰 행운,” The JoongAng Sunday, August 11, 2013. “СИРИЗА е наказание,” Преса, January 23, 2015.